I had a wonderful day today visiting with Oakland University Distinguished Professor Emerita Jane Eberwein! 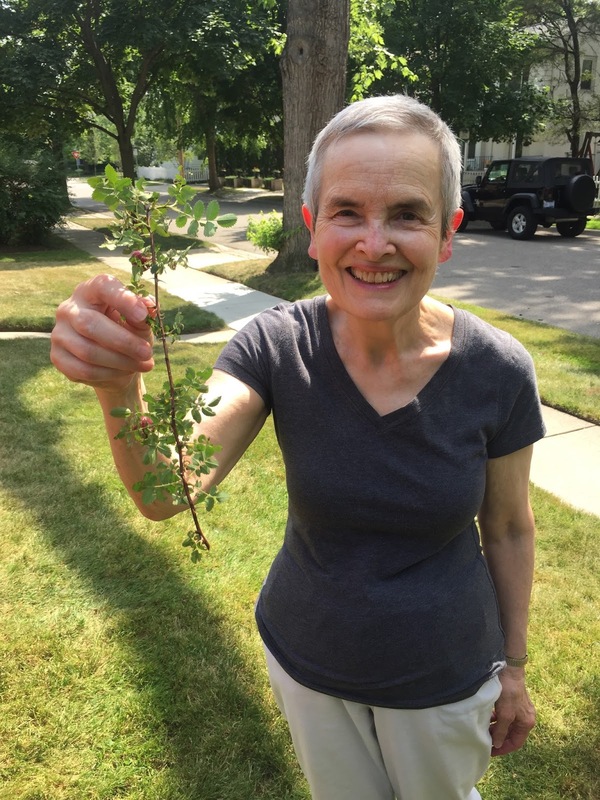 Dr. Eberwein is an internationally renowned scholar of Emily Dickinson's work, and we are so fortunate that she has been willing to share her expertise and enthusiasm for our garden. 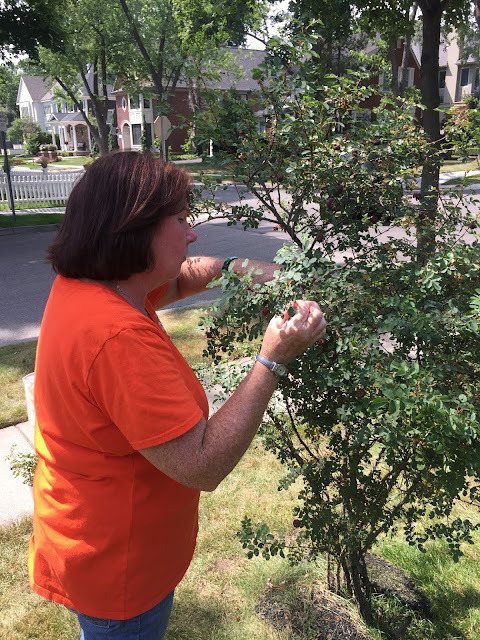 I also had the distinct pleasure of working with Oakland County Master Gardener DaniAnn Connolly, who volunteered her skills to help us obtain a cutting of a Harrison's Yellow rose bush from Emily Dickinson's Homestead garden in Amherst, Massachusetts. To the best of our knowledge, Emily Dickinson planted the rose bush herself. DaniAnn worked diligently to choose the perfect cuttings. 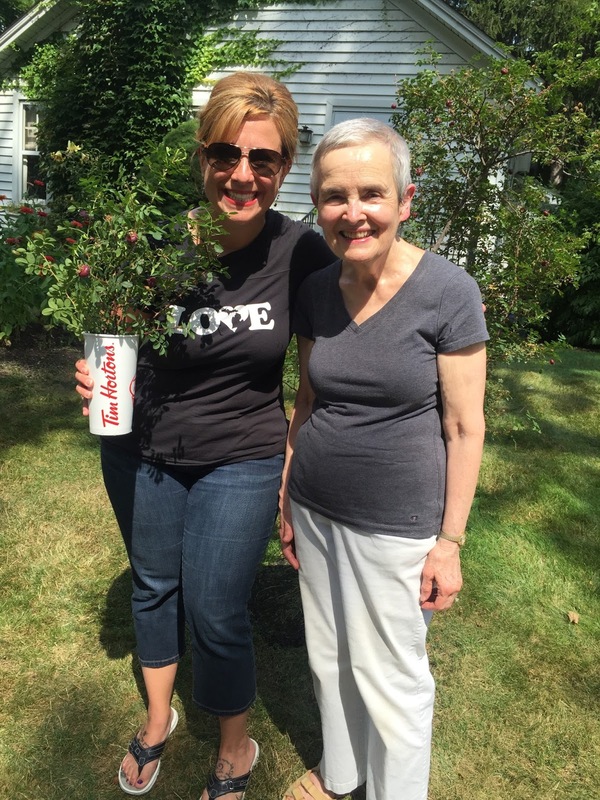 We are so incredibly grateful for her care and consideration for this historical plant. As I am an Oakland University graduate (GO GRIZZLIES! ), it was a special honor to work with such an acclaimed OU professor in this capacity. I was honored that Dr. Eberwein made the time to collaborate with us. Emily Dickinson once referred to herself as "a Lunatic on Bulbs," and "identified with the orange tiger lily... [she] sometimes called herself Daisy, for a flower that symbolized innocence. She associated certain richly scented flowers, like roses and jasmine, with men and women to whom she formed emotional attachments." 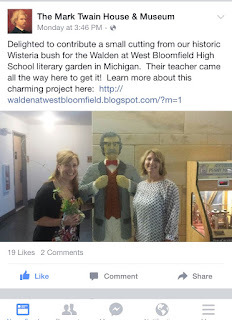 As Dickinson's passion for flowers helped to inspire my original idea for the garden, she absolutely should be represented in the West Bloomfield High School Literary Garden. DaniAnn has planted the cuttings, and now we are trying to cultivate patience as we wait for the roses to develop roots! Please join me in thanking Jane Eberwein and DaniAnn Connolly for all of their help and guidance! 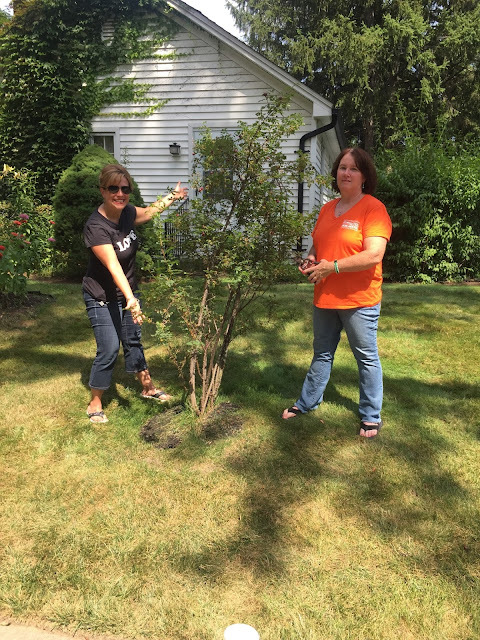 If you would like to donate to our Literary Garden, please click here. Hemingway and Faulkner Join the Literary Garden! I am so excited to share that we have two more American literary legends on board for the garden! Ernest Hemingway will be represented in the garden in a special MICHIGAN connection. 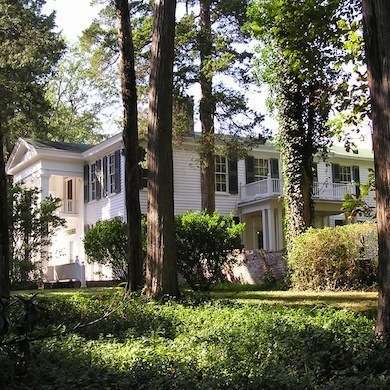 Hemingway's Nick Adams stories are based on his boyhood summers in northern Michigan, especially in the Horton Bay and Petoskey areas. Chris Struble, President of the Michigan Hemingway Society, has offered to send a mint plant mentioned in "Summer People," as noted by Phillip Greene, author of the book and blog "To Have and Have Another:"
In October of 2013, while presenting at the Michigan Hemingway Society’s annual conference, I visited Horton Bay, and was fortunate enough to talk with Jim Hartwell, proprietor of the Hartwell & Co. Bookshop, part of the Red Fox Inn. Jim’s grandfather Vollie Fox is said to have tutored the young Hemingway on trout fishing in Horton’s Creek. 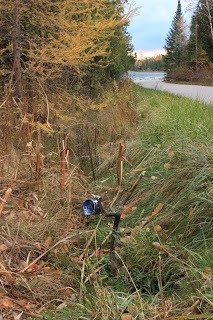 Jim directed me to the very spring mentioned in the story, 'halfway down the' now-paved road toward the lake. Sure enough, mint still grows around the spring. I took a few cuttings, and now I have some of that very mint growing at my home. Kinda neat, in an admittedly geeky way." Mr. Greene, I feel exactly the same way! Another literary legend is headed our way - William Faulkner! 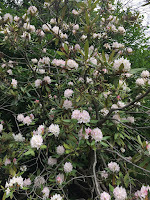 William Griffith, the curator of Rowan Oak, Faulkner's home in Oxford, Mississippi, has offered to send a cutting of a rose bush. This is a perfect choice for our 10th grade American literature students who read Faulkner's most famous short story, "A Rose for Emily." We are still looking for donations of pea gravel and plant mix (topsoil and compost) for the garden. Please contact me here if you can help. Plants from The Mark Twain House and The Harriet Beecher Stowe Center! 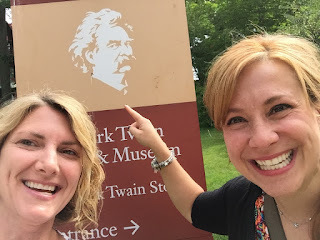 On June 29, 2015, Professor Melissa Talhelm of Southern Connecticut State University and I ventured to The Mark Twain House in Hartford, Connecticut to secure plant cuttings for the Literary Garden. I was beyond excited! 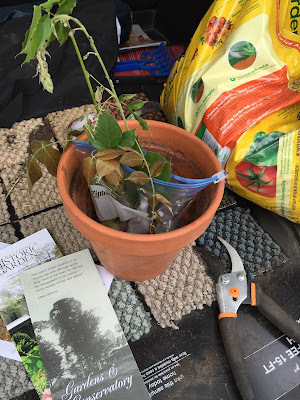 Jacques Lamarre, the Director of Communication and Special Projects, quickly greeted us and grabbed a pair of hedge clippers so that we could get our cuttings. He led us out in front of the house to cut some wisteria that was planted there in the early 1900s. 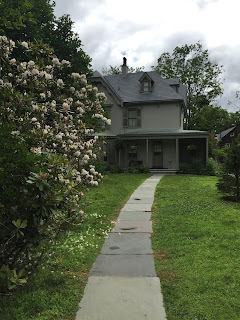 Jacques was also kind enough to take us next door to The Harriet Beecher Stowe Center so that we could add another American literary legend to our garden! 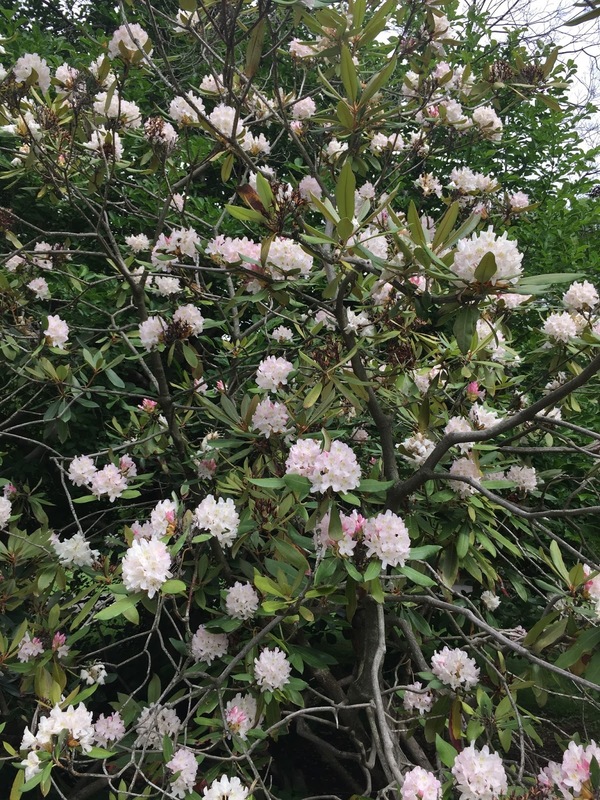 The gardens feature Connecticut's largest Merrill Magnolia - isn't it gorgeous? We definitely had a good time, as Mark Twain graciously welcomed us to his home. Twain also heartily approved of our plant selections. It was nerve-racking to have these plants entrusted in our care! We stopped at Lowe's to pick up some powdered rooting hormone using gift cards that were donated by a former student. 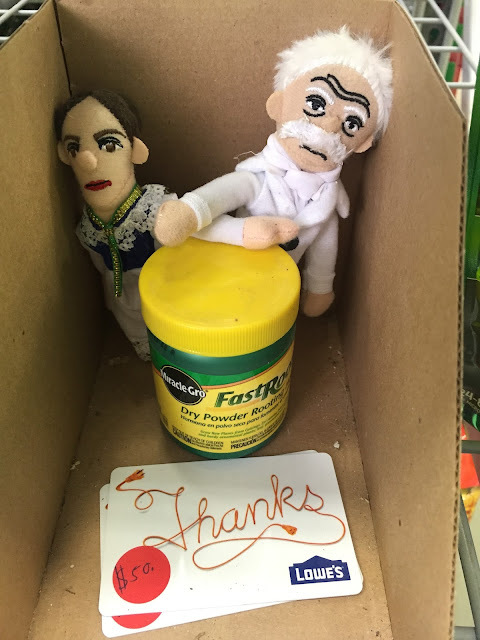 Mark Twain and Emily Dickinson say thank you for all of your support for the garden! 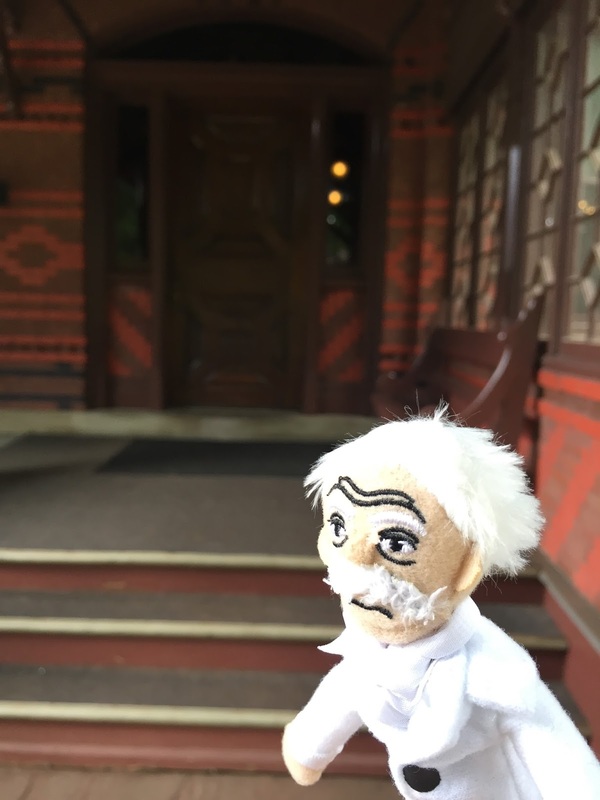 Jacques was also kind enough to post about our project on The Mark Twain House FaceBook and Twitter pages! After extensive research, Melissa and I set up a greenhouse for the wisteria cuttings. Now, we wait! Next week, I will be soliciting donations of pea gravel and soil for the garden. If you would like to donate to the WBHS Literary Garden, please click here.